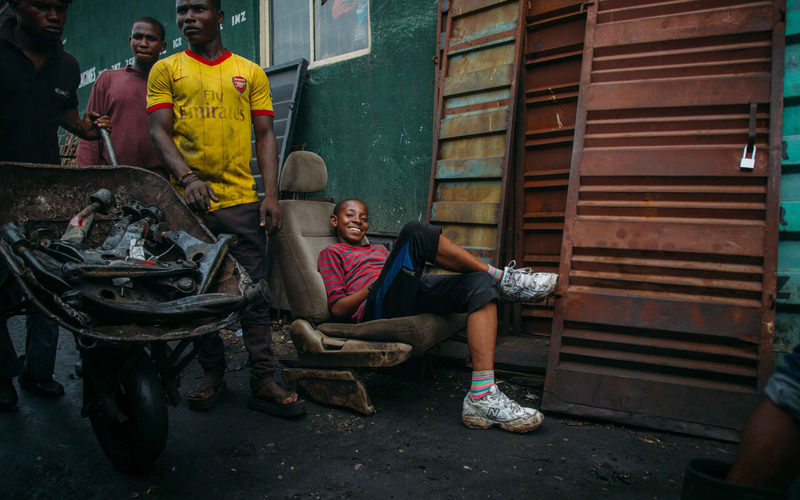 Marked by damaged, rugged roads, puddles of black oil, unkind gridlocks, remnants of used vehicles of different shapes and deep, smelly open gutters, Ladipo Auto Spare Part Market can hardly be thought of as a muse for an artistic expression. 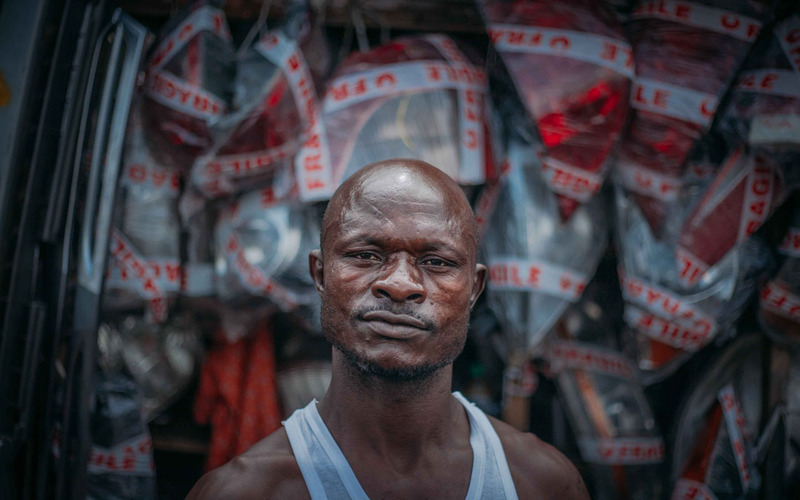 But in the eyes of Seun O, a documentary photographer, the market has its own compelling story that can be better told by an insider who can see beyond the unalluring surface. 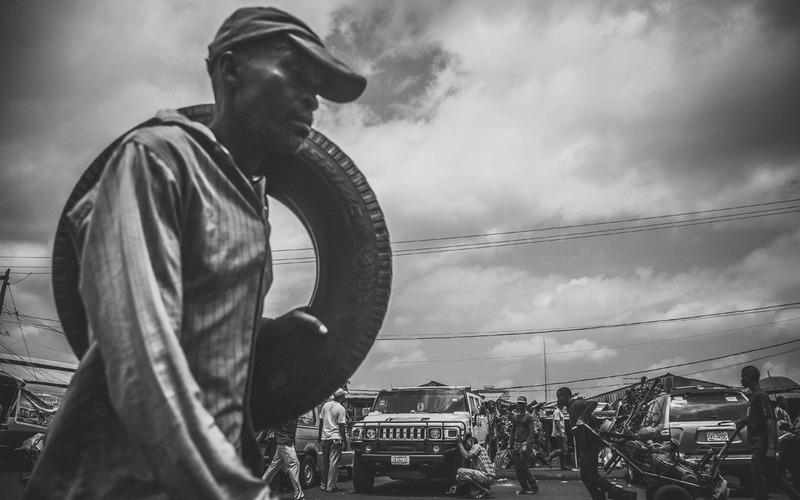 His latest multidisciplinary exhibition themed “Ladipo: the Gods of Machines” is dedicated to the market which often serves as the scene of violent faceoffs. 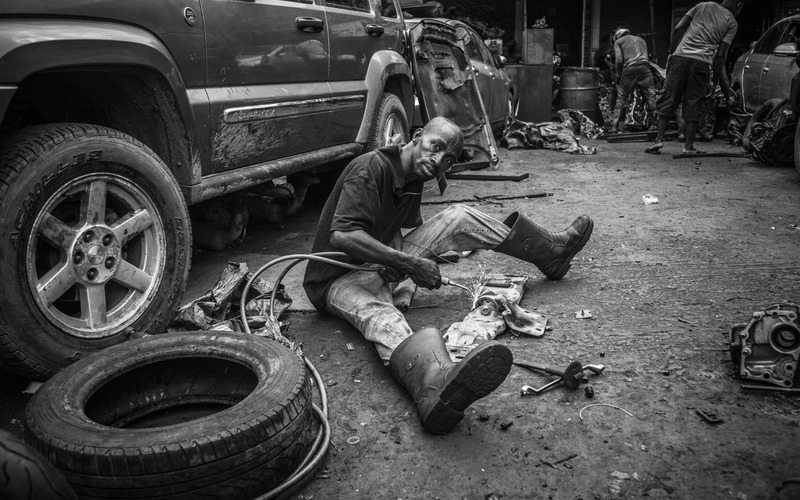 But behind the less-than-savoury image, Seun O, sees the audacity, resourcefulness, creativity and craftsmanship of people carving out opportunities for themselves. 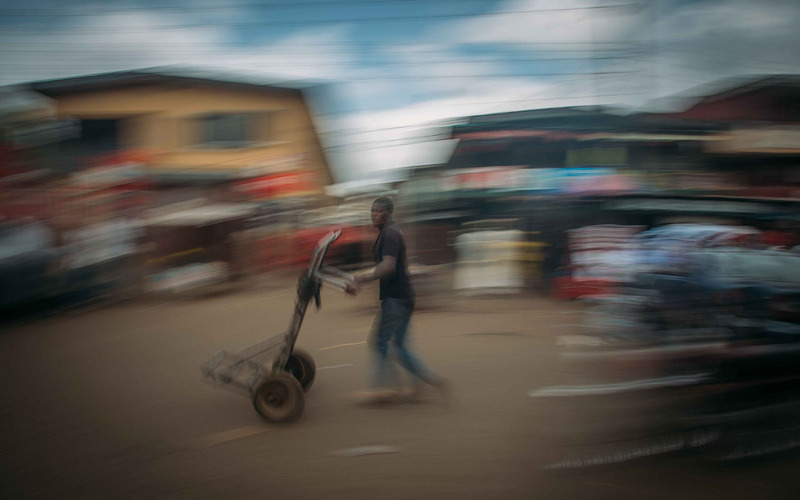 Seun O’s approach to “photography” for the exhibition challenges traditional conventions by creating imagery mixed with ambient sounds and spoken words with the hope of achieving heightened cultural and social engagement. 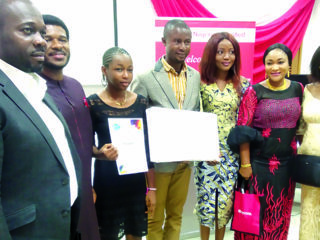 “It hasn’t been done before,” he said of the reason he chose to do a collection on Ladipo. 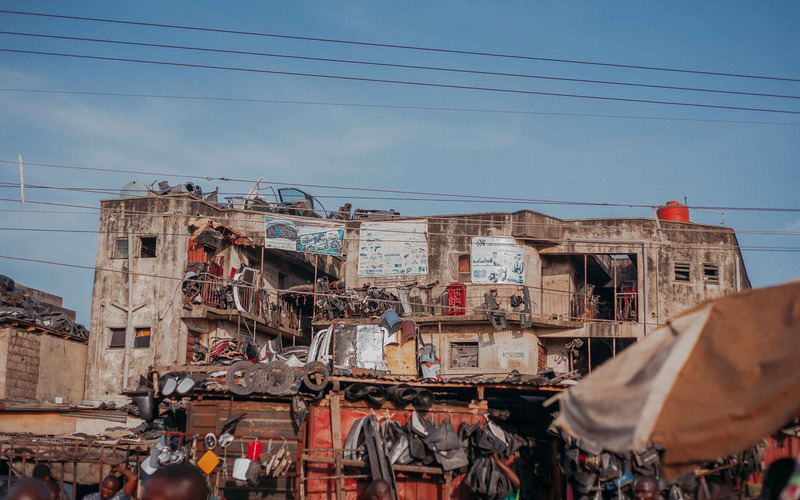 Located in Mushin Local Government area of Lagos State, the market is widely accessed by people within Nigeria and neighbouring West African countries. 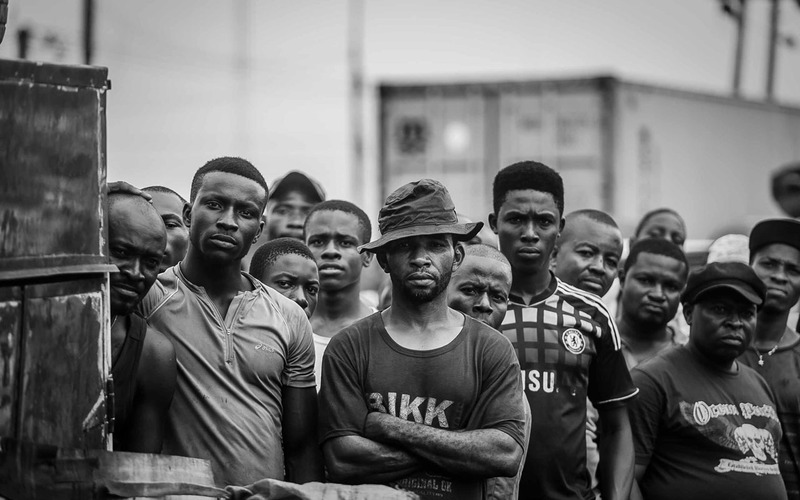 On many occasions, the Lagos State government has made failed attempts to restore order to the chaotic market by adopting measures ranging from shutting down the market to compelling the traders to clean it up and attempting to ease the traffic with security personnel. But the redemptive measures have not only failed, the market continues to ‘behave’ like a recalcitrant schoolboy left to his whims by teachers and forsaken by parents. Regardless, Seun O sees the beauty behind the chaos. A sort of diamond in the rough. His attraction to Ladipo market is a testament to its commercial success over time. These qualities mirrors Seun O’s whose island journalistic style began to manifest as a teenager on the streets of London. His environment was his muse and his camera was a constant companion from dusk to dawn. 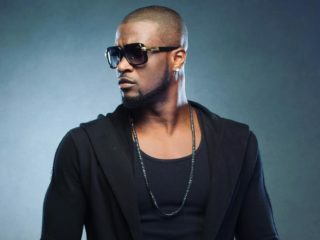 Assured of his own creative vision, Seun O does not feel compel to make his talent an island. 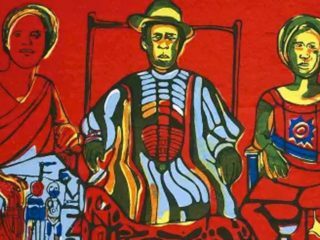 He is open to collaborating with like minds who are ready to use the geniuses to propagate Nigerian culture and heritage. “It will be nice to work with other creative minds. It is critical to keep pushing the envelope, stretching the boundaries of creativity to preserve and promote our culture and heritage,” he said.